After Oslo, Akershus is the second most populous region in Norway – just over half a million people live there, so even though it's populated in Norwegian terms, it is a rather quiet place, and nobody should have problems with finding a secluded spot in this Norwegian region, which shares a little bit of a border with Sweden. 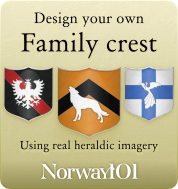 The Akershus region was named after a fortress that was originally built to protect Oslo: the Akershus fortress. There had been an attack on Oslo in the year 1287, and this attack made it quiet obvious that the defenses of the city weren't that great. A few years later (when exactly isn't sure), King Haakon V decided that a new fortress needed to be built, and the Akershus fortress was so impressive that it became one of the two most important fortresses of that time. The first written source of the fortress stems from the year 1300, but it is not known how far the construction of the fortress had progressed at that time. Nobody can say for sure when the building of the fortress was truly completed. The fortress was quite successful in the following centuries and managed to withstand all attacks. In the 17th century, Akershus fortress was modernized by King Christian IV. So the fortress then did not look much like a fortress any more but like a Medieval castle. While the fortress was never successfully taken by an enemy, the Norwegians voluntarily left the fortress when Nazi German came to Norway. During World War II and afterward, quite a few people have been killed for various reasons in the fortress. In addition to that, Akershus fortress also has a bit of a dark history because parts of it were used as a prison in the past. The importance of the fortress for the region cannot be underestimated, and it should definitely be one of the places you go and see for yourself while you are in Norway. The fortress is nowadays still a military standpoint, and lots of official events are being held there. Visitors, however, can go and visit Akershus fortress until 9pm every day. 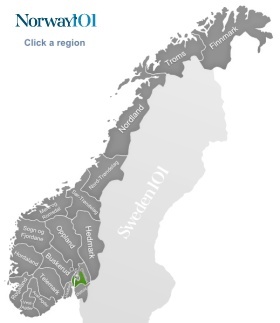 However, one thing you need to realize is that the fortress isn't exactly 100% in the Akershus region, just a bit outside of it, in the Oslo region. As the fortress is so important for Akerhus though, it's still seen as a piece of the region by many locals. Rakni's mound is a barrow of monumental size. It used to be over 18 meters high and had a diameter of around 77 meters. It is assumed that it was built some time in the mid-6th century as a burial mound. While there are other burial mounds in Norway and all over Europe for that matter, Rakni's mound is one of the largest ones, and most likely even the largest in Northern Europe. The way it was built it also quite interesting, and the place is definitely worth a visit, especially if you are close to Jesshein anyway. Jesshein is the city which is home to one of Norway's biggest shopping centres (however, you need to be aware of the fact that shopping centers in Norway are comparatively small when you are used to the US malls), and it's a good base to explore some of the Akerhus region (like the above mentioned Raknehaugen). While Jessheim isn't that much of a magnet for tourists, there are a few lovely historic buildings to look at, like the Jesshein rail station which was built in 1854. The Follo museum is one of those great open air museums in which you can take a trip back in time. The museum is close to Seiersten, and has a farmyard, a croft, and thanks to the rural location, you can easily imagine that you are taking part in a normal day in a past time in Norway. The Follo museum consists of a variety of different buildings and experiences. You can visit the coastal culture center which has a dock with old boats, a goldsmith, a shop and a lot more. There is also a traditional printing house. The Oslofjord museum is a great place to see a collection of wooden boats, and the whole Follo museum area is a wonderful place for people who would like to learn more about traditional crafts and life in old Norway. The Tertitten Urskog-Hølandsbanen is a lovely train ride on a train that is drawn by a proper, original steam locomotive. If you would like to see the region in a relaxed manner, and would like to experience an old-fashioned way of traveling, then the Tertitten Urskog-Hølandsbanen should be your first choice. Sometimes there are also special guided trips for people who would like to learn more about the history of the Tertitten Urskog-Hølandsbanen.